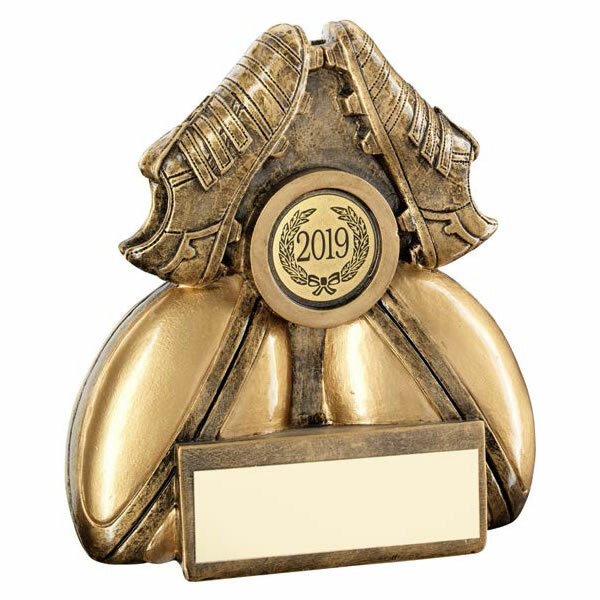 Versatile rugby trophies suitable for both male and female awards, and for both team and/or individual player prizes. Crafted in durabel resin with attractive bronze and gold colour finish, available in three sizes, featuring two rugby boots set over two rugby balls and enclosing a 1in rugby theme centre. Includes engraving plaque at the base, offered with text and/or logo engraving options.